I Love Free Software Day has rolled around again. It’s easy to remember since it falls on Valentine’s Day every year. Since I use Free Software to run this website, as well as to write my books, I am more than happy to give a shout out to all the world’s free software developers. Thank you, and please continue. Thank contributors to the free and open source ecosystem personally. Do it on your blog. Link this blog, or link the original. Happy I love Free Software day everyone! And happy Valentine’s Day, too. 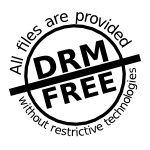 This entry was posted in Uncategorized and tagged free software, freedom, open source. Bookmark the permalink.